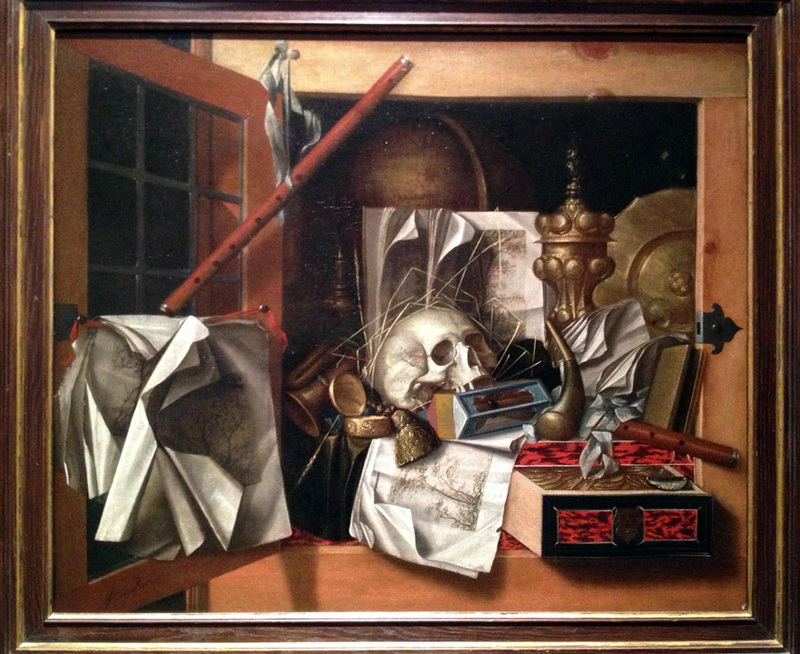 “Tromp-l’oeil Vanitas Still Life” by Franciscus Gysbrechts, 1650s. A Vanitas is a work of art based on the idea of the transience of human existence and the knowledge that all has it’s end. They have been common throughout the history of art, sometimes incredibly morbid with a sharp focus on death, others with obscured meaning hidden beneath a veneer of beauty.